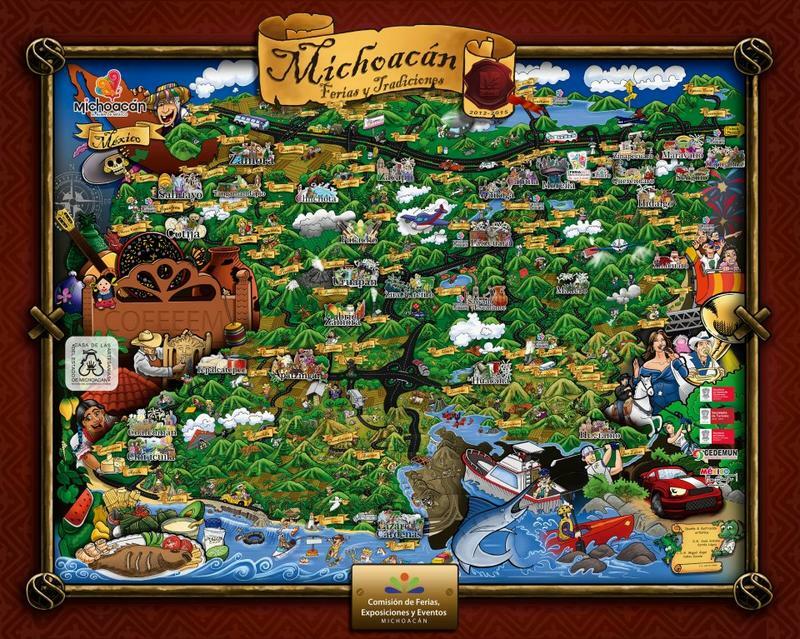 Michoacán is officially Estado Libre y Soberano de Michoacán de Ocampo (English: Free and Sovereign State of Michoacan de Ocampo) and is one of the 31 states which, with the Federal District, comprise the 32 Federal Entities of Mexico. It is divided in 113 municipalities and its capital city is Morelia (formerly called Valladolid). The city was named after José María Morelos, hero of the Mexican War of Independence. Michoacán is located in Western Mexico. 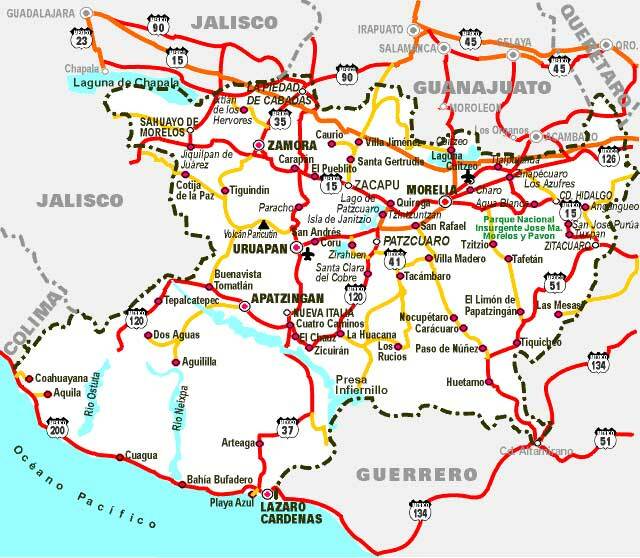 It is bordered by the states of Colima and Jalisco to the northwest, Guanajuato and Querétaro to the north, México to the east, Guerrero to the southeast. To the southwest, Michoacán has a stretch of coastline on the Pacific Ocean. The name Michoacán is from Nahuatl Michhuahkan from michhuah (“possessor of fish”) and -kan (place of) and means "place of the fishermen" referring to those who fish on Lake Pátzcuaro. In pre-Hispanic times, the area was the home of the P'urhépecha Empire, which rivaled the Aztec Empire when the Spanish arrived. After the Spanish conquest, the empire soon became a separate province which became smaller over the colonial period. The state and several of its residents played a major role in the Mexican War of Independence. Today, the state is still home to a large population of P'urhépecha people as well as Otomis and Nahuas. The economy is based on agriculture, fishing, mining and some industry. 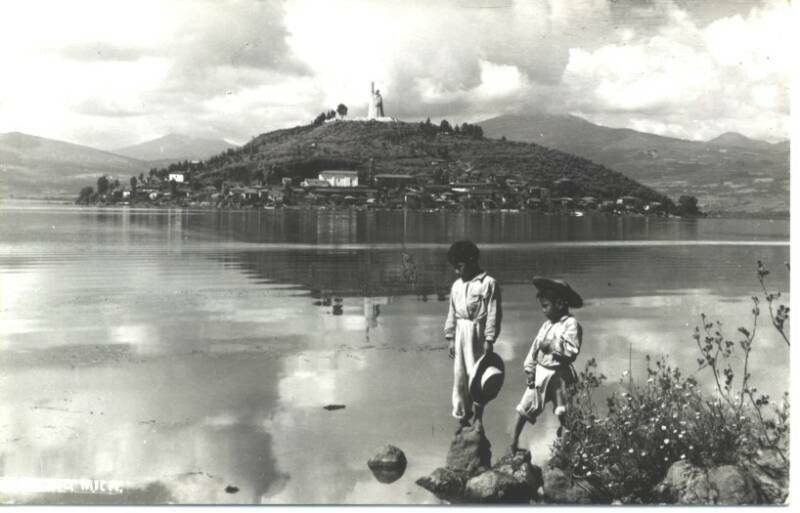 The major tourism draw for the state is the Lake Pátzcuaro-Tzintzuntzan-Quiroga area, which was the center of the P'urhépecha empire. will find no peace in any other land."